Lily Miranda Hammer is charged with immigration related offences under the Immigration Refugee Protection Act (IRPA). Filipino workers in Canada filed a lawsuit in Canada against a mushroom farm and its recruitment agency. A group of Filipino workers are accusing A&L Workforce Management and Sharon Mushroom Farm for illegal recruitment for selling mushroom picker jobs Canada. Also, you might want to read this article too (it has the telephone numbers of people who can help you out if you sent these people through money transfer services like Western Union). After that, you might want to check out this article, where a Filipino goes to jail for taking advantage of desperate OFWs in Canada. The mushroom farm is Sharon Mushroom Farm in the village of Sharon. 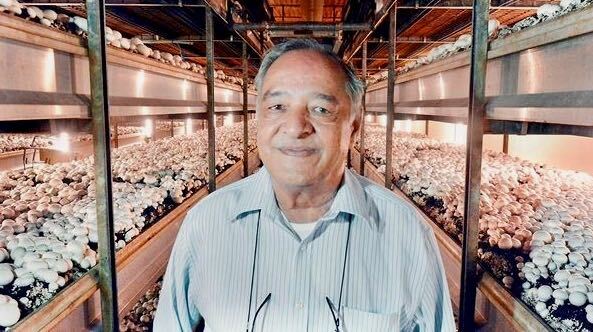 Sharon Mushroom Farm is owned and operated by businessman Laxman Marsonia. Sharon is in the municipality of East Gwillimbury, Ontario (population: 3,000). East Gwillimbury is a rural area in York Region, just north of Toronto. The recruitment agency is A & L Workforce Management, based in Toronto. A & L Workforce Management is owned and operated by Filipino Lily Hammer (originally of Boca Raton, FL). 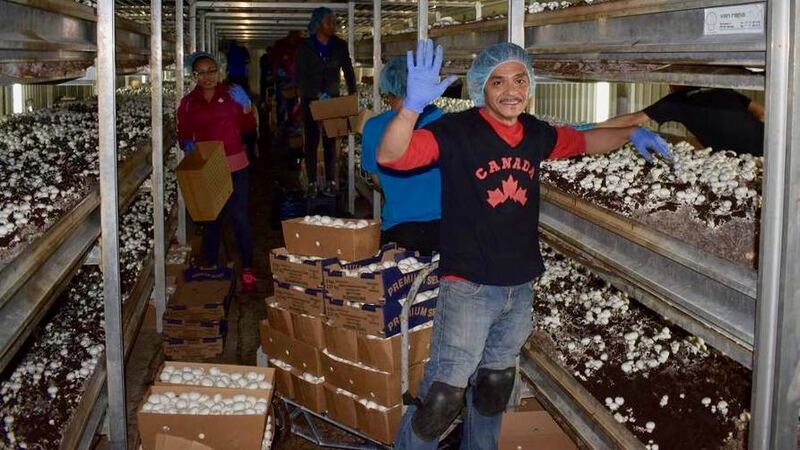 Both Sharon Mushroom Farm and A & L Workforce Management were in the news recently when Filipino media giant ABS-CBN reported that Filipino workers in Canada earned as much as PhP150,000 a month working as mushroom pickers in Canada. Philippine Government agencies such as the Department of Foreign Affairs (DFA) and the Philippine Overseas Employment Administration (POEA) came out with advisories cautioning Overseas Filipino Workers (OFWs) against illegal recruitment in Canada. POEA cautions Filipino workers to exercise caution when looking for mushroom picker jobs in Canada. There are currently no valid job orders for any jobs for mushroom pickers in Canada. New POEA rules also require Canadian employers hiring Filipino workers from the Philippines to partner with both Philippine and Canadian recruitment agencies. Officials from the Philippine Embassy in Ottawa and the Philippine Consulate General in Toronto were investigating allegations against both Sharon Mushroom Farm and A & L Workforce Management. OFWs were claiming that they were charged by A & L Workforce Management an average of CAD$5,000.00 each to come to Canada to work as mushroom pickers at Sharon Mushroom Farm. One such OFW was Ryan Aporbo. Aporbo is an OFW who entered Canada under the Government of Canada‘s Temporary Foreign Worker Program (TFWP) in 2013. Aporbo’s work permit was not renewed in 2015 as a result of the economic downturn in that province. He was not able to find another Canadian employer who was authorized to hire foreign workers. He was desperate to stay in Canada, and was willing to do everything to stay. Aporbo found an opening posted online by A & L Workforce Management for mushroom picker jobs in Ontario. Under the TFWP, Filipino workers must leave Canada at the end of their work permit, unless they can find another Canadian employer who has been approved by the Government of Canada to hire foreign workers. The online ad from A & L Workforce Management indicated that they were also looking for people willing to work in senior residents, construction companies, agriculture, meat packing plants, hotels and restaurants. All these positions were for minimum wage jobs that Canadian citizens and permanent residents don’t want to do because of the long hours and low pay. 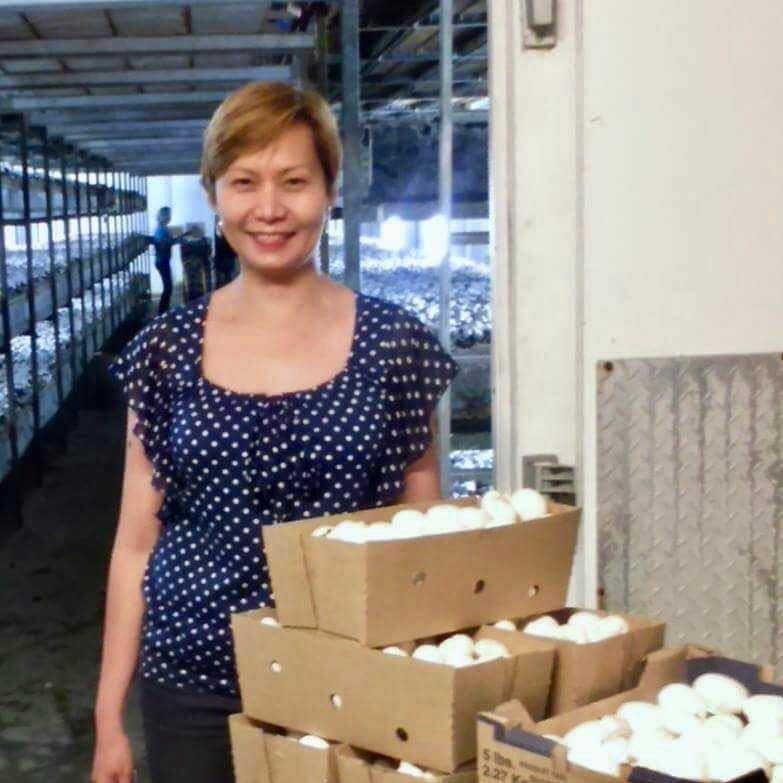 Taking advantage of the desperation of foreign workers like Aporbo, the lawsuit alleges that A & L Workforce Management knowingly recruited undocumented foreigners for Sharon Mushroom Farm. Under the TFWP, foreign workers cannot work for Canadian employers who do not have the authority to hire such workers. Also, foreign workers cannot work for any other Canadian employer other than the one indicated in their work permit. Any violations to the conditions indicated in the work permit is cause for the removal (translate: deportation) of the foreign worker from Canada. While the foreign worker is deported, the Canadian employer and the recruitment agency suffer little to no consequence as a result of their violations. Aporbo is part of a group of Filipino workers presently suing Sharon Mushroom Farm and A & L Workforce Management at Small Claims Court. Small Claims Court in the province of Ontario is a branch of the Superior Court of Justice. There are limits to the claims that can be filed, in the province of Ontario, it is currently at $25,000. Small Claims Courts are used by Canadians as an easier and less expensive means to resolve disputes than the higher courts. The group of Filipino workers allege that A&L Hammer Workforce Management and Sharon Mushroom Farm charged Filipino workers thousands of dollars in illegally collected recruitment fees, including processing fees for Labour Market Impact Assessments (LMIAs). Both Philippine and Canadian regulations forbid the collection of recruitment fees from OFWs. Such costs must be shouldered by the Canadian employer (in this case, Sharon Mushroom Farm). The Filipino workers allege that they were promised by A&L Hammer Workforce Management and Sharon Mushroom Farm work permits which they never received. The group of Filipino workers want their money back. The group of Filipino workers also allege that A&L Hammer Workforce Management took advantage of their desperation to charge recruitment fees that were meant to be paid for by Sharon Mushroom Farm. A&L Hammer Workforce Management and Sharon Mushroom Farm, in their join statement of defence, says that they never provided legal advice, nor did they collect fees for such services. A&L Hammer Workforce Management and Sharon Mushroom Farm did say that they charged the Filipino workers for the services of an immigration lawyer and for the cost of application for the LMIAs. Applications for an LMIA are made by Canadian employers who wish to hire foreign workers under the TFWP. The Government of Canada assesses the application, and if everything is found in order, grants the Canadian employer the positive LMIA. The Canadian Employer then gives a copy of the LMIA to the foreign worker as part of the foreign worker’s application for a work permit. The cost of application for the LMIA is the responsibility of the Canadian employer, not the Filipino worker. The Statement of Defence states that A&L Hammer Workforce Management only provided assistance to the foreign workers in its role as a recruitment agency hired by Sharon Mushroom Farm. Recruitment agencies in Canada are licensed, unlike immigration consultants. Recruitment agencies in Canada are not allowed to collect recruitment fees from foreign workers. All costs (including LMIA applications) are supposed to be shouldered by the Canadian employer. Aporbo alleges that he paid A&L Hammer Workforce Management $1,371 as payment for a positive LMIA, a work permit and a visitor visa. A&L Hammer Workforce Management issued receipts for these payments. Immigration, Refugees and Citizenship Canada (IRCC) did not issue Aporbo a new work permit. Aporbo is no longer working at Sharon Mushroom Farm, and is waiting for the results of his application for Permanent Residency under Humanitarian and Compassionate Grounds. IRCC grants around 3,000 Permanent Residency applications under Humanitarian and Compassionate Grounds. The chances for OFWs like Aporbo to be granted Permanent Residency are very, very slim. The Canada Border Services Agency (CBSA) have charged both A&L Hammer Workforce Management and Sharon Mushroom Farm with trafficking and misrepresentation offences under the Immigration and Refugee Protection Act (IRPA). Their next court date is June 29. Representatives from the Philippine Government are working with their Canadian counterparts in investigating allegations of illegal recruitment activities undertaken by A&L Hammer Workforce Management in the Philippines. 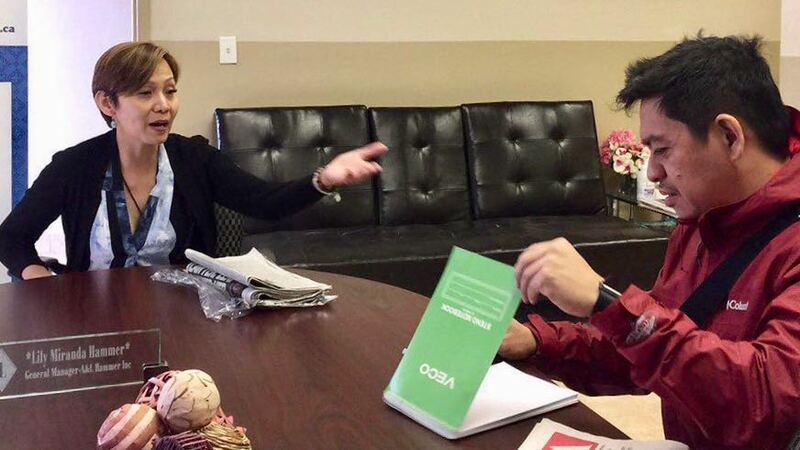 Claims of payment for similar recruitment fees by prospective workers in the Philippines have been submitted to the Philippine Overseas Labour Office (POLO) in Toronto for investigation. Do you know someone who paid money to A&M Hammer Workforce Management for a job at Sharon Mushroom Farm? Do them a favour and share this post with them.